Today I had a day off from work. and scattered rose petals across the water. It was a good and cathartic day. 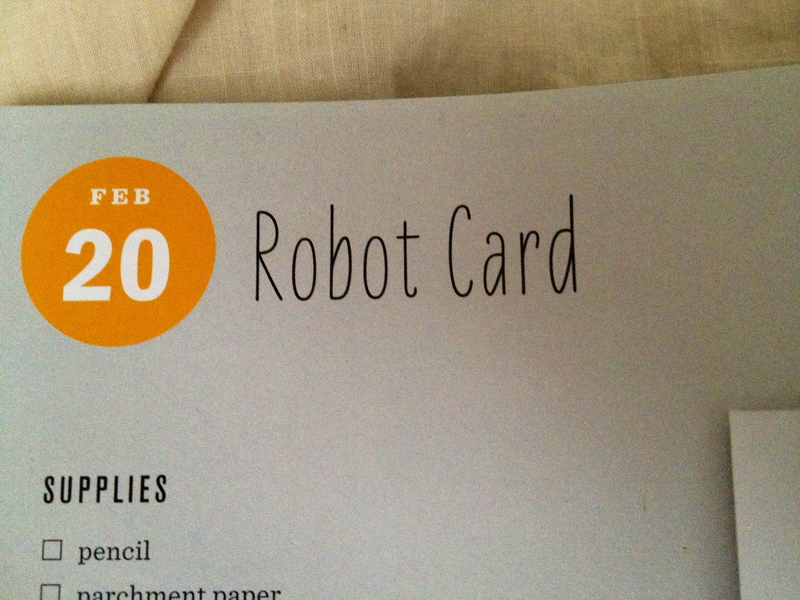 I made a robot card. P.S. 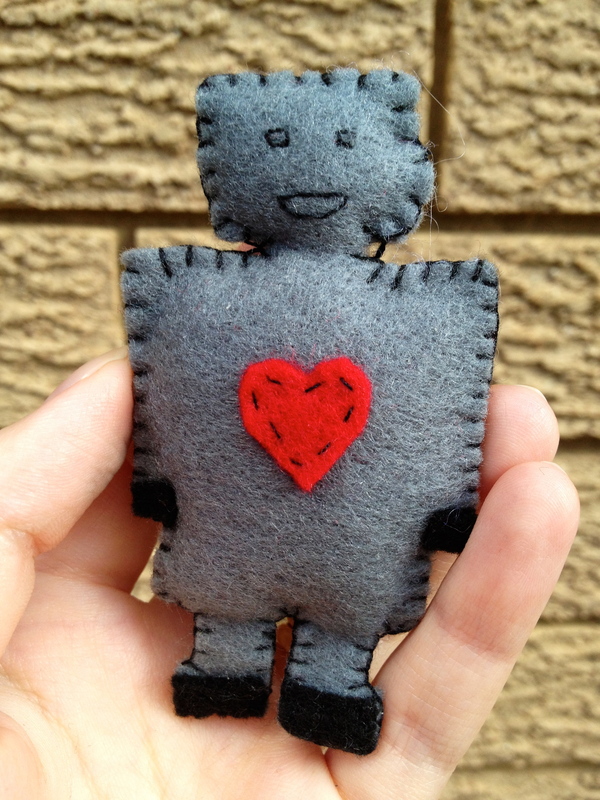 Here’s a photo of yesterday’s craft after I finished sewing it together. That sounds like a cathartic but tough day. 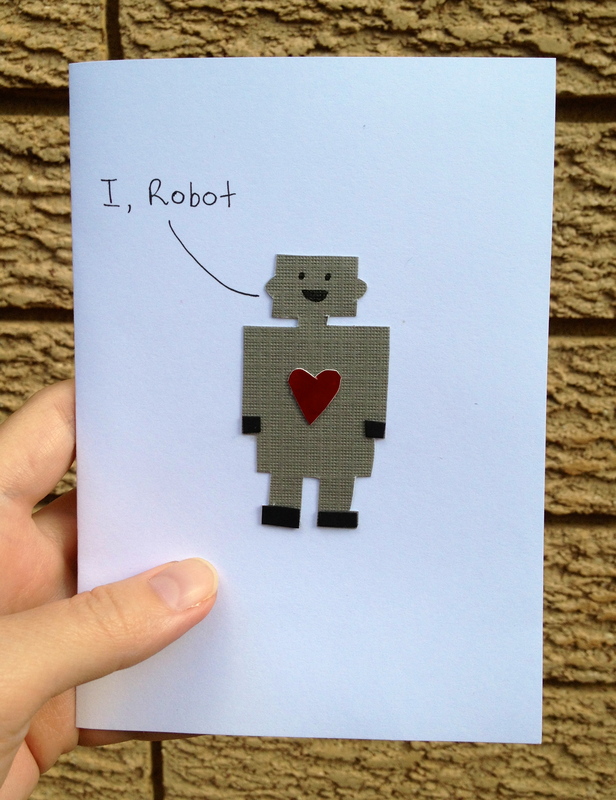 aww “I, Robot” card is so so cute! I went to work today, and stayed late to avoid the traffic in the tunnel. now I am home with some me time! Oh Carolyn, you’re so poetic! Did you design the robot yourself or use the style they had in the book? Hi Rajita, I used the design from the book. To answer your other question, the book is structured in themes that go for 7 days each. I use the designs from the book but often put my own spin on it. Thanks for all the comments! very cute card. love you, hope you’re ok…?